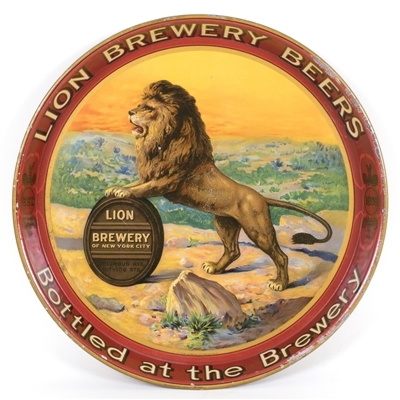 Featured is a beautiful round tin serving tray from the large Lion Brewery which was based in New York City before Prohibition. This serving tray features a large lion standing on a wooden sign which looks like a beer keg advertising the brewery. Circa 1915.